Few people genuinely enjoy cleaning their home—they put in the work, though, to experience the great satisfaction that comes when they finally sit down and admire their clean house. If you identify with this scenario, contact the team at UMG Cleaning to find the perfect solution for your cleaning woes. We offer an extensive array of green cleaning services including residential cleaning services such as mopping, dusting, sink scrubbing, wall washing and more. Whatever you need cleaned, we can clean it—there is no job too large or too small for our team of professionals, and when you invite us into your home, we treat it like our own. We pay great attention to detail and are mindful of your belongings. You will love coming home to a clean space that does not smell of harsh chemicals and overwhelming, irritating perfumes. Contact us today to schedule a cleaning! Running a successful business means making both your clients and your employees happy. If you have a staff or happy, healthy, productive workers, your business is going to thrive. In addition to proper treatment of your employees, you also have an obligation to provide them with a work environment that is clean, organized and sanitized. 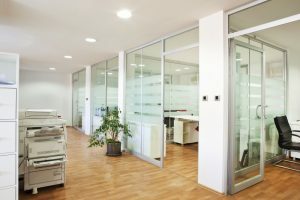 An office that is messy and goes without cleaning can slow productivity and eventually turn into a space laden with germs that threatens the health of your employees. Neatly stacking papers and emptying the trash cans will not help you create an optimal environment for your employees to work in—you need a cleaning routine that includes dusting, disinfecting, scrubbing and more. The focus of the cleaning should be on all rooms in the workspace, too, including the bathroom, break room and lobby. At UMG Cleaning, we understand that to build something beautiful, things need to get a little messy, first. Sweeping, dusting, removing debris and other miscellaneous cleaning tasks can feel tedious after you have spent so much time completing your construction project. Whether you need to decrease the time spent between construction projects or you are simply ready to take a second to sit back and admire your job well done, treat yourself to the freedom you deserve when you hire UMG Cleaning to take care of all your post-construction cleaning needs. If your construction site is at a commercial property, we can clean it! If your construction site is at a residential property, we can clean it! Or if your construction site is at a school campus, we can clean that too! There is no job too big or too small for the team of professionals at UMG Cleaning. Contact us today to request a free, no-obligation estimate or to schedule your post-construction cleaning job. Day after day, we enter our home and track in remnants of the ground we ventured on. Even if you take off your shoes when you get in the front door, it is literally impossible to prevent your carpet from being subjected to inevitable wear and tear. Playful pets, adventurous children who recently discovered the wonder that is dirt and water, there are countless threats that can take your carpet from “new” to “no.” Many people make the mistake of thinking that investing in a shampooer and cleaning their carpet on their own is sufficient. In reality, you will actually spend more time and more money on this DIY hack than you would if you trusted the job to a team of professionals. When you enlist UMG Cleaning services, we guarantee a thorough and deep cleaning of your carpets with the use of 100 percent green and environmentally cleaning products. Your carpet won’t look “good as new,” it will look better! Because we spend most of our time walking on our carpeted floors rather than looking at them, you will be surprised just how dirty your carpets were before you contacted our team to give your carpets the deep clean they need! Our carpet cleaning services include, but are not limited to, spot removal, shampooing, odor removal, stain removal, cleansing and vacuuming.